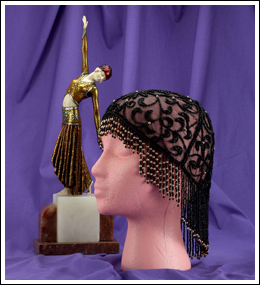 It’s time to channel your inner flapper with this unique and stunning beaded headdress. You’ve seen them on the ladies portrayed in Chiparus and Preiss statues, and in many vintage fashion illustrations. Just imagine how glamorous you’ll look wearing one.